What should I name this project? Poll closed Jan 10, 2019 . 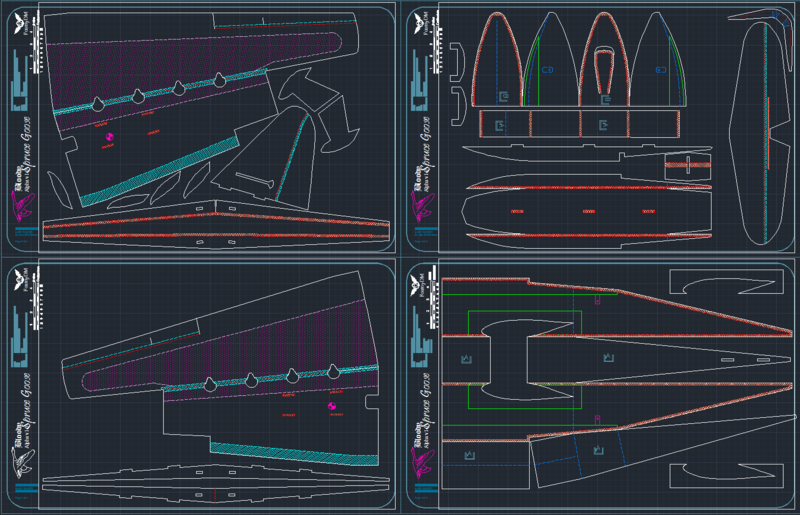 THE BLOODY GOOSE IS DESIGNED! After scaling it to 3" blades with the intent of quick and easy build, I realize the bloody build style doesn't allow for boat plane building... I kept on anyway. This "tiny" plane is enormous. 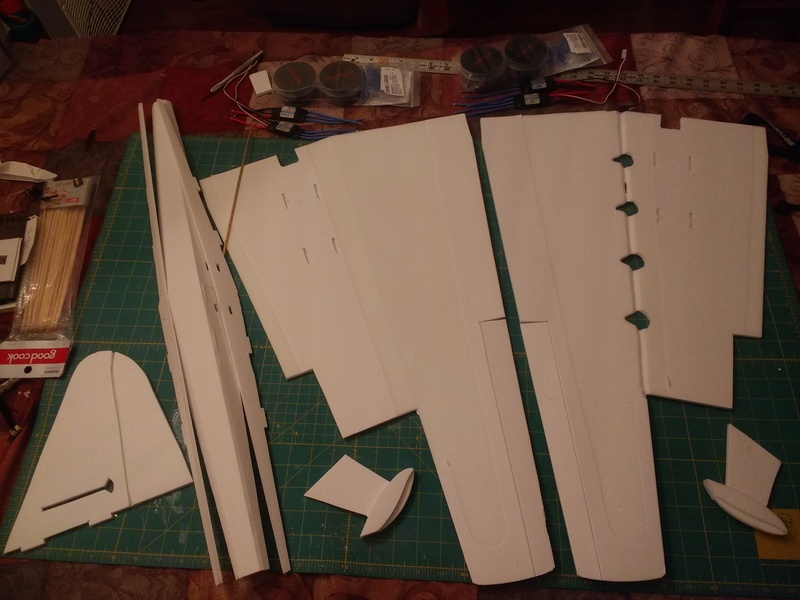 at this scale it is still a 52" wingspan, 35" long and 4 boards, way outside of the BB WWII build parameters... I likely will start it's own thread, starting with this information. I do wonder about the power system. I have three choices. They costs between $65-80 total. the ESC cost is very different. 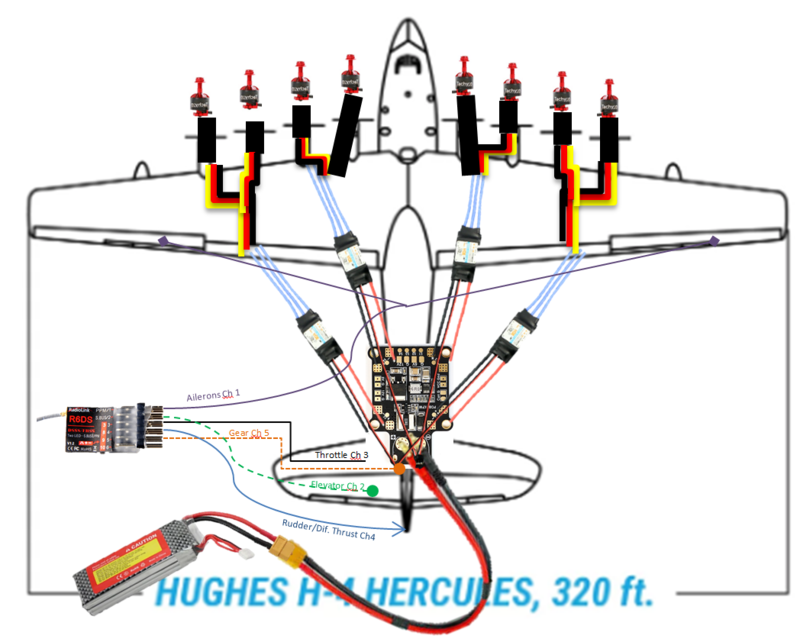 The escs are nearly the same costs. And all said, the difference is ~$20. Not much. I think I will go big and order the 1408's and put them with my 50A on 3s. 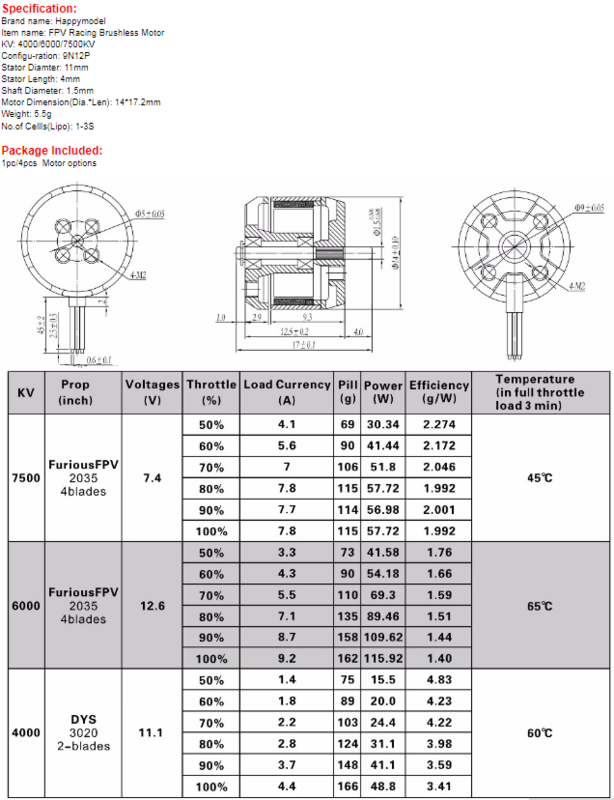 The chart shows 15A is for 4S. So I'm thinking 12a on 3s. So 48a for 4. I went Big. The motors came in the other day. I have been neck deep involved with other projects right now so the amp and static thrust testing will have to wait a short while. I will ruminate on the motor mounting situation in the mean time. I have a switching camera. I wanted to try something mentioned on the FTCC a LONG time ago. it involved creating mount points for your Cameras and a common base. Then running power to the magnets and using the magnets to power and attach the cameras. As I suspect this models power to weight ratio to be stupid high, I will be playing around with using the 5000 mah 2S we use for our RC cars. for the Prototype no... but it will be part of this project, Heck Yes! Flying boats are my favorite type of aircraft, so I'm following this with great interest as of now. WCL = wt/(wing area * (sqrt[Wing Area]) = 16.8oz/(2.11*sqrt(2.11)) = 5.48oz/ft^3 <<<--- Is This RIGHT? 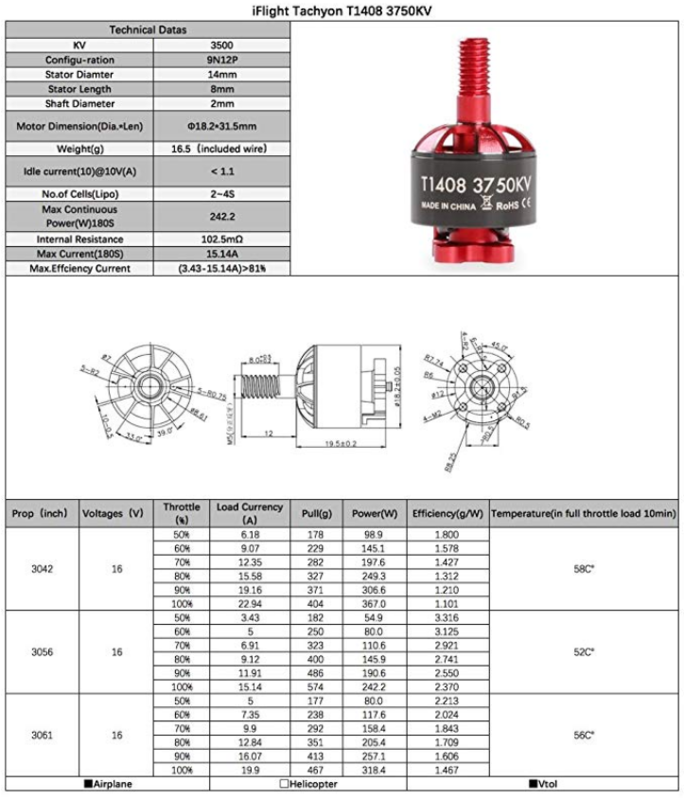 8*(12amps*11.4V)1094 W/ 1.675lbs <--Is THIS RIGHT? so 663 W/lb = Unlimited Verticle. even assume 10A at 2S = 353 W/lb. Would this project benefit from Flaps? 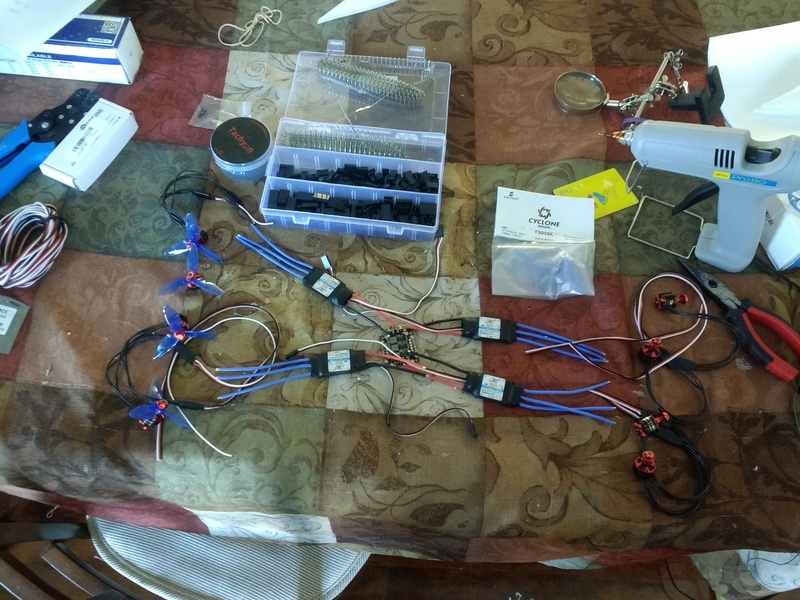 If you will note in the Picture, The 30A ESC's came in so I am able to put the electronics system together. 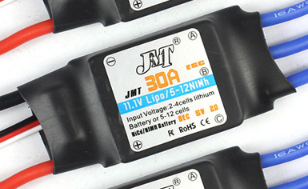 Though it says 11.1V, It also says input voltage 2-4 Cell Lithium, parroted by the specs on the seller's site. I also designed a Firewall/mount for the motors for this. 20mm Dia. x 0.75"h (linked to .stl file.) I hope to print this tonight. I want any reader who follows along later, that I haven't tried it yet. So, print at your own risk. Geez Foamy, do you ever slow down? Looking good! I'll have plenty of time when I'm gone. I hear you. I wish I had more time to build. I catch more attitude from my wife from building than I do from flying. Oh well, at least she is mostly supportive. I catch more attitude from my wife from building than I do from flying. Oh well, at least she is mostly supportive. Crazy. With my kids fly time is harder to come by. I spent last night learning to crimp servo wire. 22 ga servo wire can take 7.4 ish amps. This setup should only take 5amps per phase. This makes it a perfect connector wire and keeps power wires short. Here is a power setup layout picture. 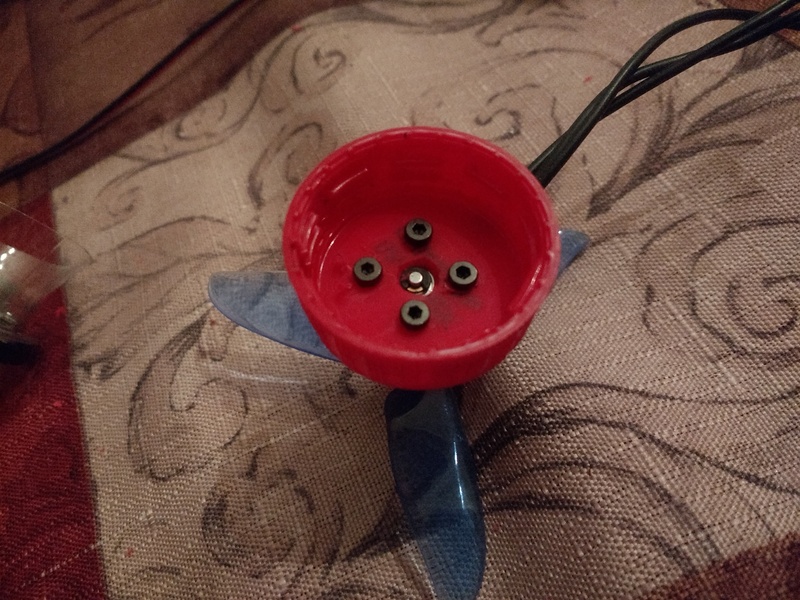 I have soldering to do tonight and drilling of bottle caps to mount the motors to. On a separate note, on the ftfc19 fantasy challenge I found a SeaDuck Disney oceanliner plane that looks like a Spruce goose like inspiration. 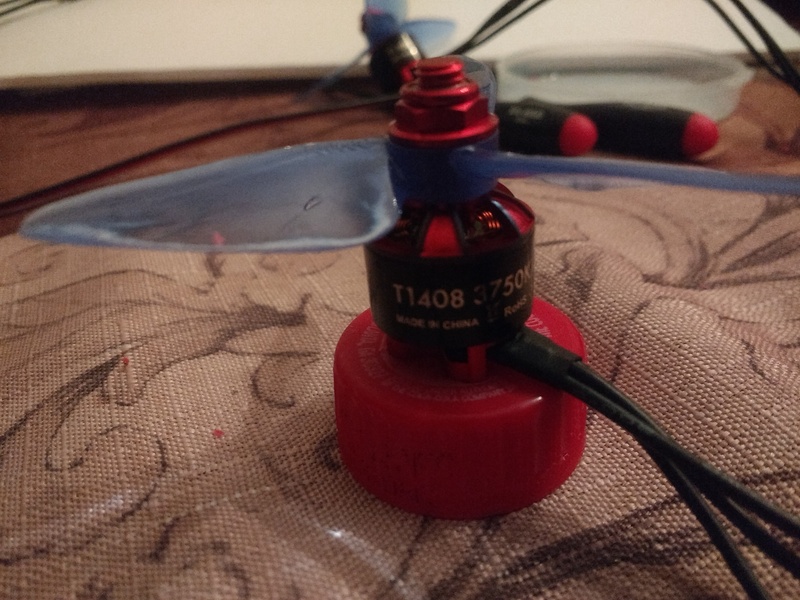 Okay things are moving along I have put the setup over top of the wing just to make sure the lengths are long enough and it looks like I'll be okay I'm probably going to try to poke the ESC through the top or at least so they're flushed to get some air. Now I've got to work out the engine mounts. Below is the bottle cap idea I had kind of thought of earlier. It looks like it will work out pretty good. See the front and back of the mount and what I do is I cut off the neck of the bottle and use that ring is almost like a contact flange for the glue surfaces. what should I use to bring it back to the fuselage? 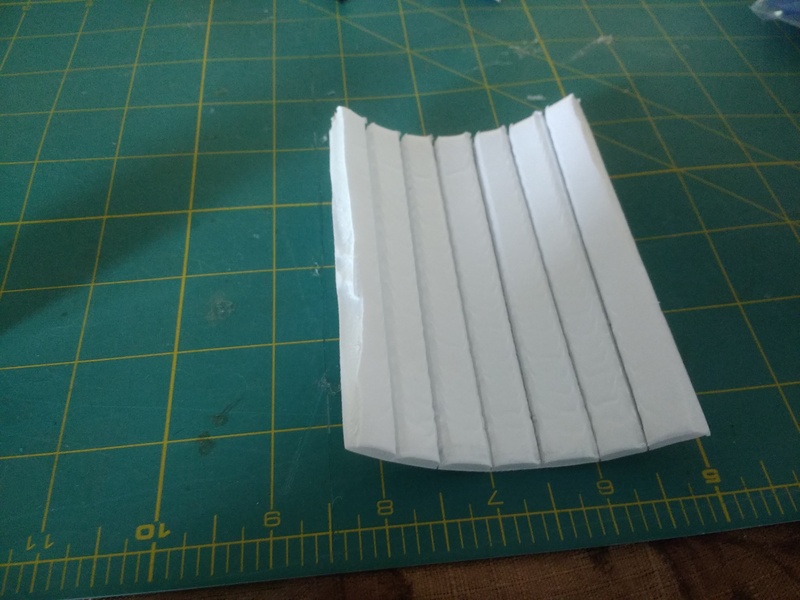 was thinking about using PVC pipe (1 inch) instead I may just try to make the tubes out of Dollar tree foam board but if that doesn't work I'll try the tube. 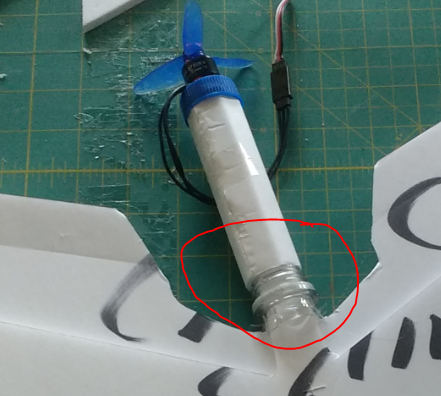 The cap goes onto the bottle neck which glues into the tube, that glues into the wing. I should be able to glue up the wing with tubes and the bottle tops to the tubes fronts. 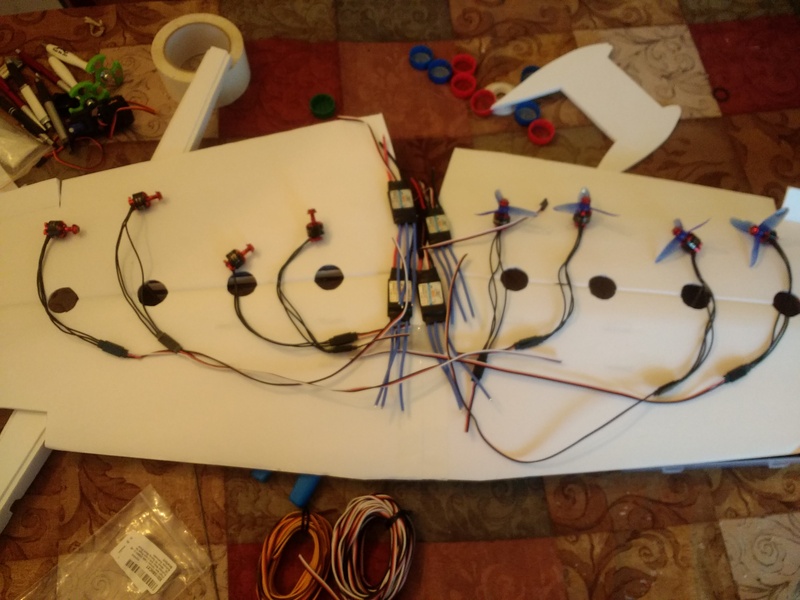 and then fish the wiring through to hook up with the ESCs. Looking for award to seeing the progress. I had a chance a few years ago to see the real thing....and get up inside the cockpit. That plane is absolutely amazing... you can't take pictures of the area... but imagine the pilot/ copilot seats with about 8-10 seats wide behind them for the “flight crew-Engineers etc.” Those guys monitor gauges & all sorts of engine performance things.... there is room to walk inside the wing spar on both sides as well. Take out the seats & you probably have enough room behind that pilot seat to throw a party for 20-30 easy. Amazing aircraft. Don't know how I missed this one. This is gonna be a rocket! How can I repair a scratched motor winding? I'm pretty sure that I nicked a motor wire. and scraped the coating. Should I be worried or let it be? Should I repair it with conformal coating? @DamoRC: I know, I'm a bit worried and excited. Tried an idea at lunch... It looks promising. @DamoRC your build technique inspired this. A 1.14" diameter cap = 3.5 O.D. mount. It feel secure screwed on. And it's lightweight. 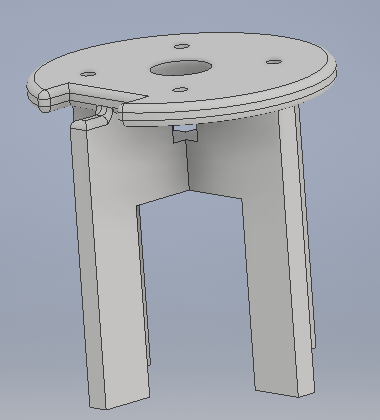 I estimated the PVC + screw mount would add 230g. While that's most likely nothing for this bird, I have some other ideas for that weight. One of the big concerns I have regarding this project is the longevity... I suspect I will very much enjoy flying this project. So I've been playing around with the motor attachment. the way I had it I just thread on the cap over the tube end, crushing the foam at the corners, relying on in to resist the thrust... seem very short term. I decided to adjust it again. 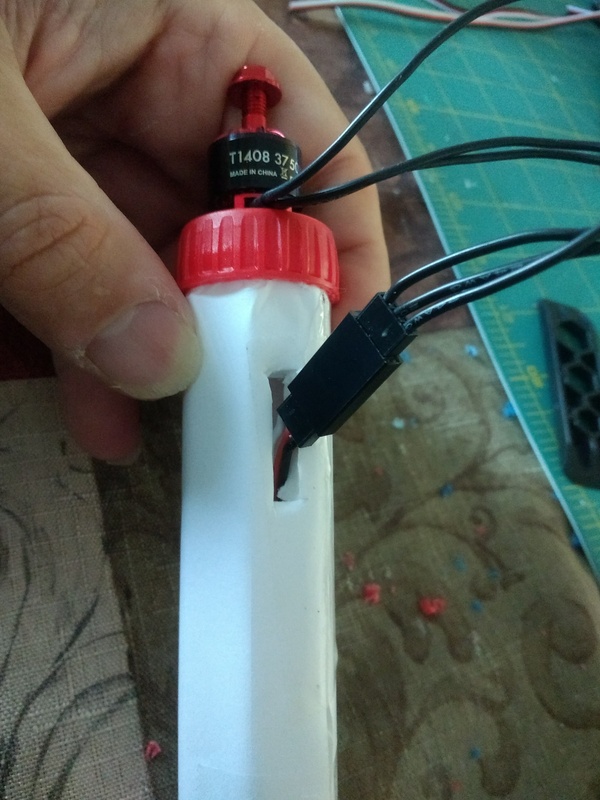 I cut off the top of the bottle, trimmed/adjusted the septagonal tube to glue the collar to, using it the collar to tighten the motors caps on to. Pictured below is the motor mount tube adjacent to the collar. (not attached.) the plastic collar is circled in red, and is glued to the main wing body. I tried the idea it out on my 445mm micro wing, and It works well. 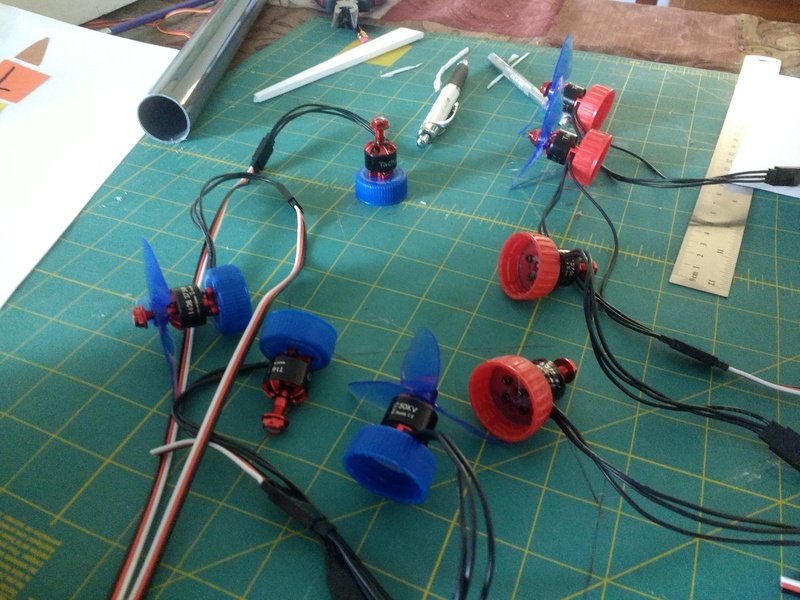 (project to put these motors to use when NOT goosing. I then refined it to just trim off the threaded end by unscrewing a bottle cap a 1/2 turn and using the gap as a guide for the scroll saw as I cut. It removes the bulky collar (which I thought I wanted.) and the weight associated. with 8, that adds up to saving 80-100g. I now have all the tubes and will be mounting the tubes after this Saturday. I might be able to field test Sunday! I all the holiday fun, I lost some connectors... (long leads with the ESC Connector for 2 outer motors) I realized this as I wanted to button the wing and it's electronic up this weekend, give it a fire-up test. 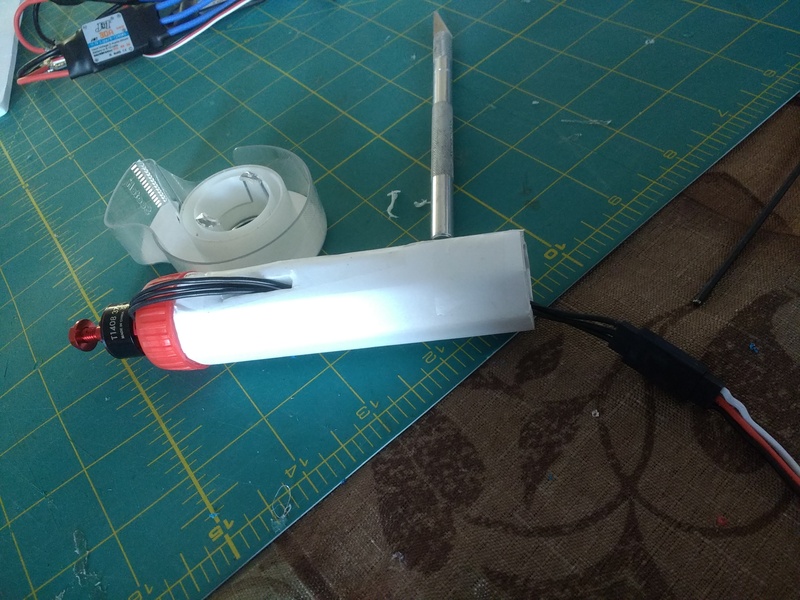 so I couldn't do that... but I realized I needed to add a short 6" servo line extender to enable all the motor leads to be accessed from the motor pod fronts. (see two pictures above.) currently the inner motorsleads from the esc connectors are too short.